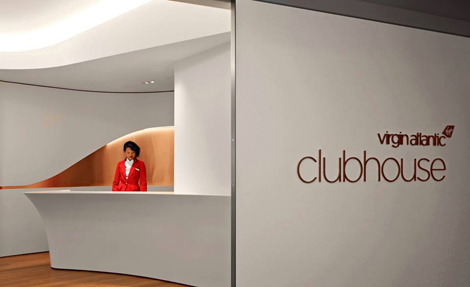 Virgin Atlantic has opened its newest Clubhouse lounge at Los Angeles International Airport (LAX) Terminal 2. The new 4,000sqm space cost nearly US$4 million and shares striking similarities to the airline’s Clubhouses at JFK International and Newark Liberty, which were also designed by Slade Architecture. The iconic apothecary-inspired bar is featured in the Los Angels Clubhouse lounge, where guests can choose from a range of cocktails and healthy juice options. In addition, Virgin Atlantic has partnered with LA’s Hinoki & Bird to introduce a menu with the restaurant’s three signature dishes – green papaya salad, chilli crab toast and miso donuts. 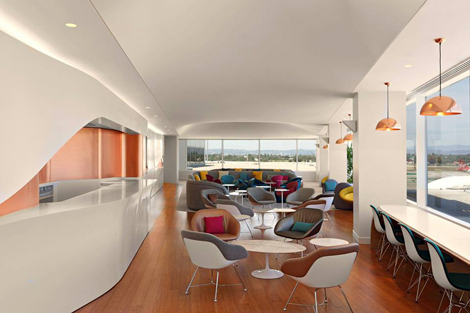 The lounge offers plenty of seating, and guests will appreciate the large panoramic windows that deliver expansive views of aircraft and even a glimpse of the iconic Hollywood sign beyond. Wifi is also available throughout the facility. Virgin Atlantic’s new Clubhouse lounge is open to passengers travelling on Upper Class or those with a Flying Club Gold card.